Day 4 was spent traveling to Texarkana in preparation for our first regional in Little Rock. We got to Texarkana with very little trouble, just a lot of rain. The ride from Texarkana to Little Rock on a normal day should be about 2.5 hours, today it took us about 8hrs. We started off driving along the snowy road which was perfectly fine, nice and slow going but very safe. We started hitting some ice so we pulled off at gas station to wait it out. We were there for about 2 hours waiting for the temps to rise above freezing. When got on the road again, though the ice had cleared near us but I-30 north of us was shut down and that was our route into Little Rock. We were able to find a route up 67 north to meet I-30 further east. As we made our approach to the venue, we managed to get the bus stuck on a hill. This was highly unfourtante but thanks to the generosity of one of the members of the neighborhood we were able to at least move about 20 yards forward. This put us infront of one of the locked gates into the venue parking lot. With some calls to the Arkansas Regional Director we were able to get the gate unlocked. Then came the fun task of sliding the bus in reverse into the gate. Surprisingly all of this worked pretty well, and we had the robot into the venue at around 3pm. Once inside we started loading in at 3pm. That's 6.5hrs after pits had opened. 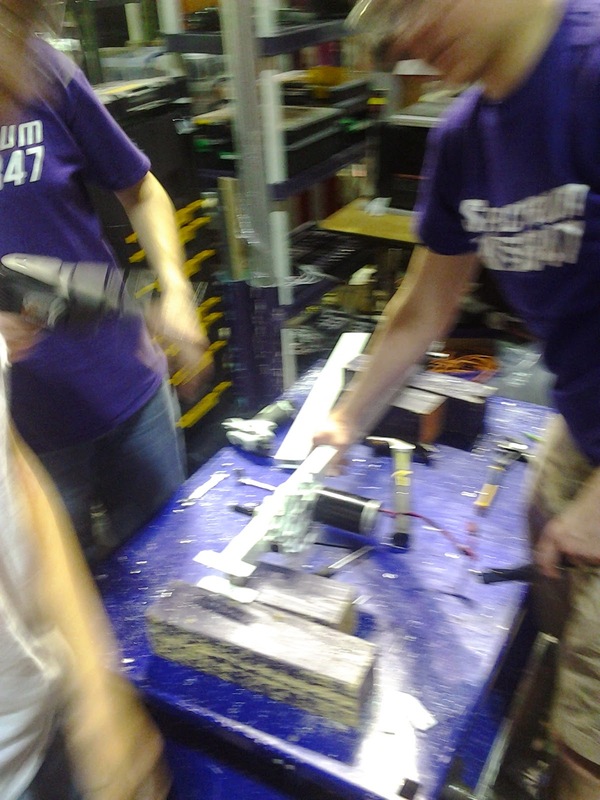 We immediately go to work tearing down the old robot and getting it ready for the additions. The tear down was complete at about 5pm and we started the reassembly with only 3 hours to go till pits closed. 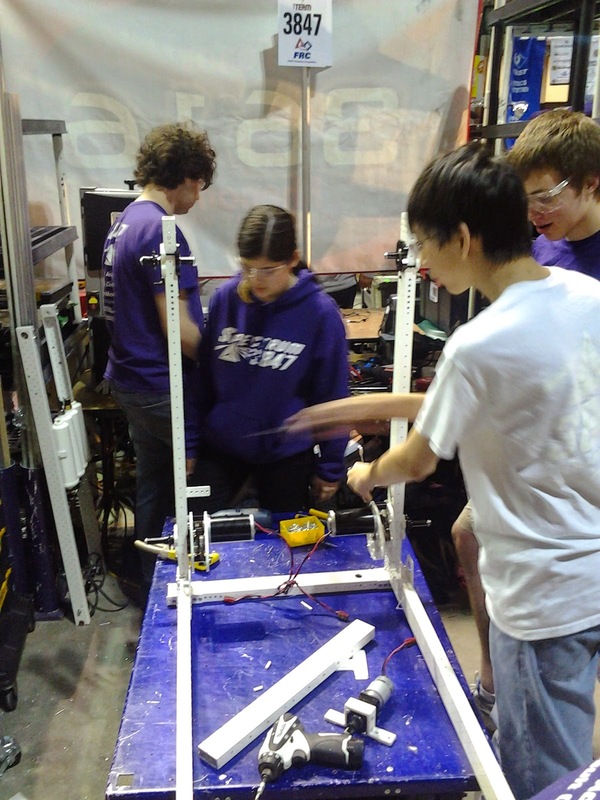 We weren't able to fully rebuild the robot but we are very close to being able to pass inspection.